Mariah Carey’s reputation precedes her. We all know the stories about her elaborate rider requests and greenrooms stocked with 100 white doves. A few years ago, I was producing a shoot at a venue that had just hosted Mariah and one of the employees said they never wanted to see anything white again. She’s a diva. This isn’t news. The Guardian asked Mariah about her “diva-ishness” and while she owns the title, she denies some of the more bizarre rumours (but not the doves, she does not deny the doves). Mariah’s profile in The Guardian is a great read in full but my favourite part is when she’s asked about reports that she bathes exclusively in mineral water. … do you only bathe in French mineral water? Mariah Carey bathes in milk. OF COURSE SHE DOES. It’s not a surprise but the revelation isn’t any less funny. Now I want to know what kind of milk. Goat’s milk, obviously. From Brazilian baby goats. Who pours these baths? Those poor assistants. Mariah is promoting an upcoming Christmas tour and her return to Vegas with the aptly-titled show, The Butterfly Returns. Page Six reported that the show was a “disaster” and that it was not selling well. Her publicist hit back calling the reports “false” and “desperate.” OK. I don’t buy that Mariah’s ticket sales are dismal. Her first residency was a hit so this one may be underselling the first run but is that a failure? Either way, I don’t think Mimi cares. 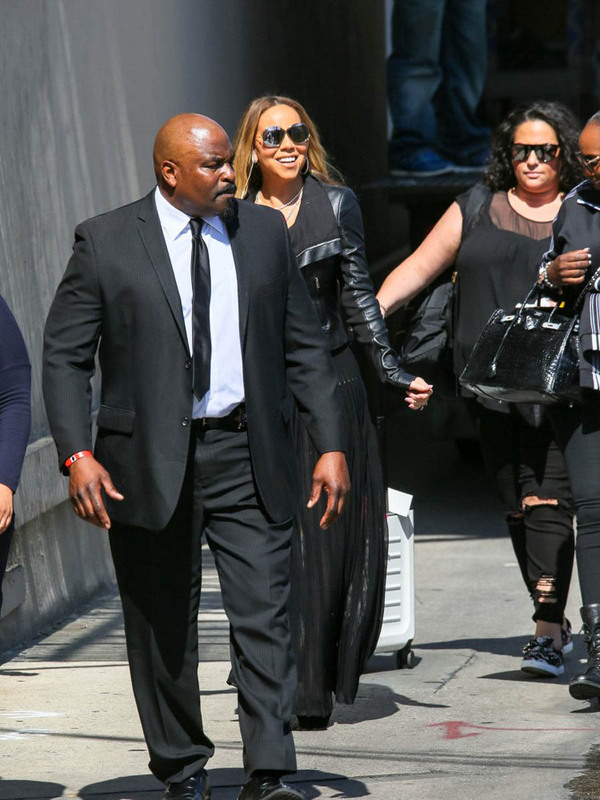 Mariah Carey is very skinny right now. I wrote about Kelly Clarkson’s ‘thing’ earlier today and pointed out that being skinny doesn’t make Kelly happy. In fact, she’d rather that we don’t talk about her weight at all. Mariah on the other hand, as Lainey as written multiple times, LOVES being skinny and wants us to talk about how skinny she is. Going back to that Guardian profile, Mariah talked about her self-esteem, which of course, is directly related to how much she loves being skinny. She describes her self-esteem as “low” but shares when she likes herself the most and it has to do with her work. Mimi will be the first person to boast about her songwriting skills. She’s right. She has written some great songs. Recently, she’s been writing for her kids aka Dem Babies. 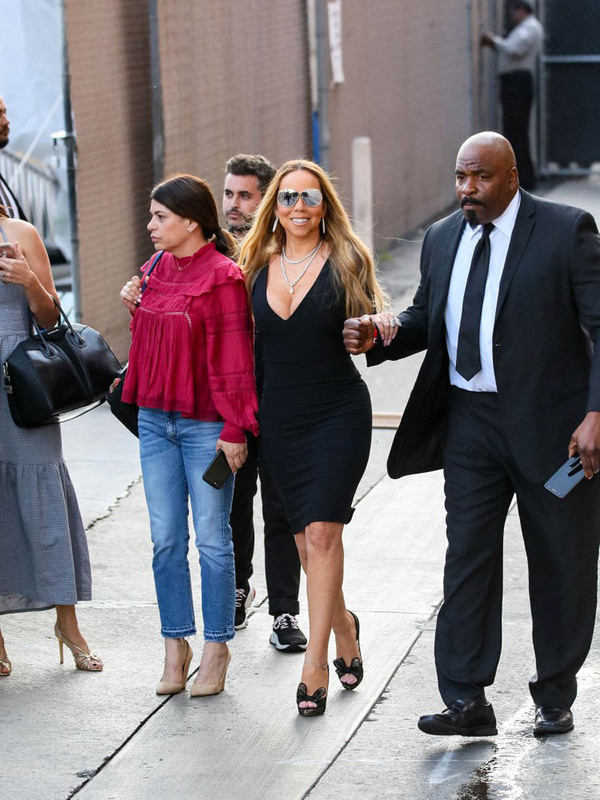 On Jimmy Kimmel Live last night, Mariah revealed that Dem Babies have already recorded music and that while she’s been hard at work on her own album, Moroccan and Monroe are also putting in work in the studio. I would pay good money to hear what a single by Dem Babies sounds like – with a guest verse from Nick Cannon. If nothing else, this is a brilliant SNL skit. Do you think she bribes them to pour her milk baths with studio time?